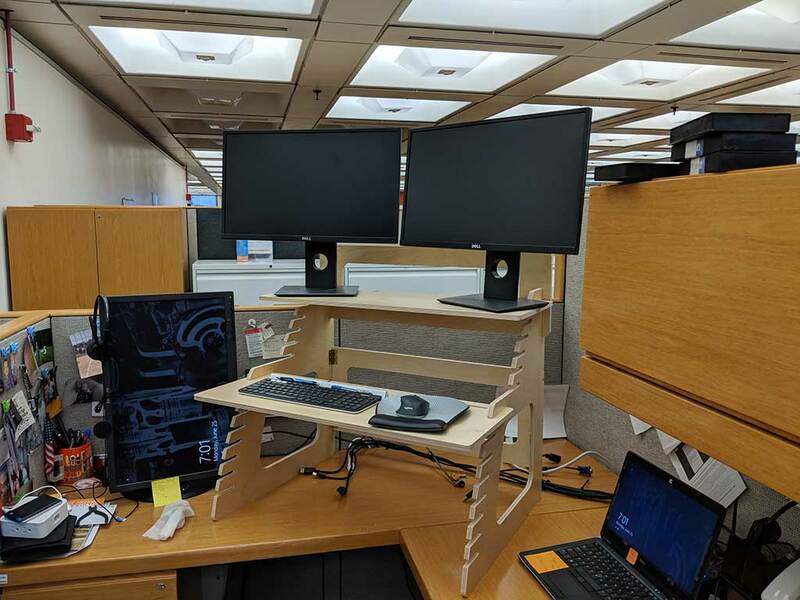 REVIEW – I don’t know about you but I have seen a great influx in the number of convertible and standing desks at my office. This got me thinking. I wonder if I would like something like this? Julie offered to let me review the Double Monitor standing desk from Well Desk. Let’s dive into it and see what we think. The Well Desk is standing desk that is designed to help you be more ergonomic and burn more calories at work by standing. 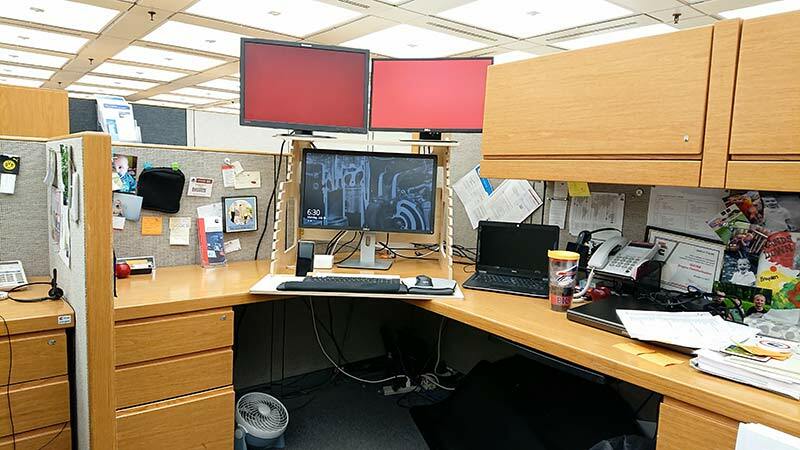 This desk like the name implies is made to hold 2 monitors for double duty while working. The desk is designed to be easy to assemble and to be fully adjustable. 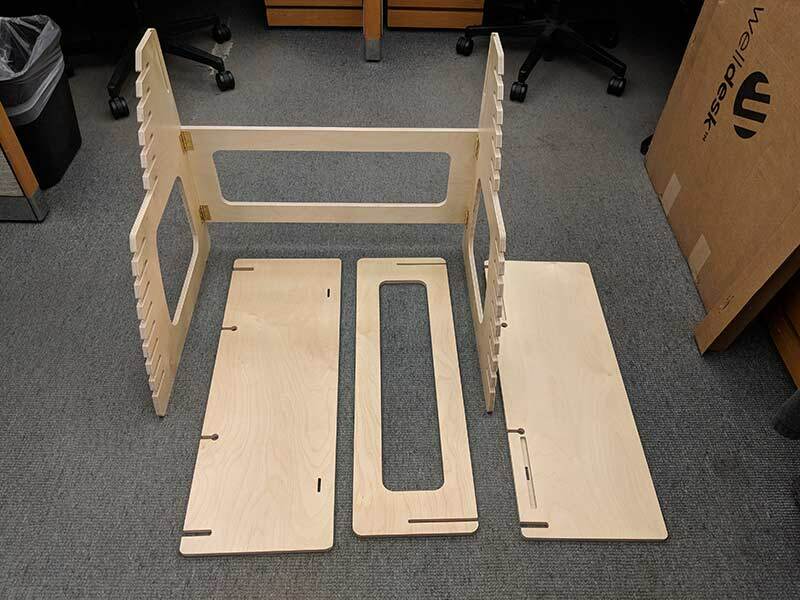 In the box were the 4 pieces that make up that standing desk. Each was packed without any wrapping around them but none of my pieces had any damage. The biggest piece is the back of the desk which is made up of 3 pieces that are already assembled using screws and hinges. 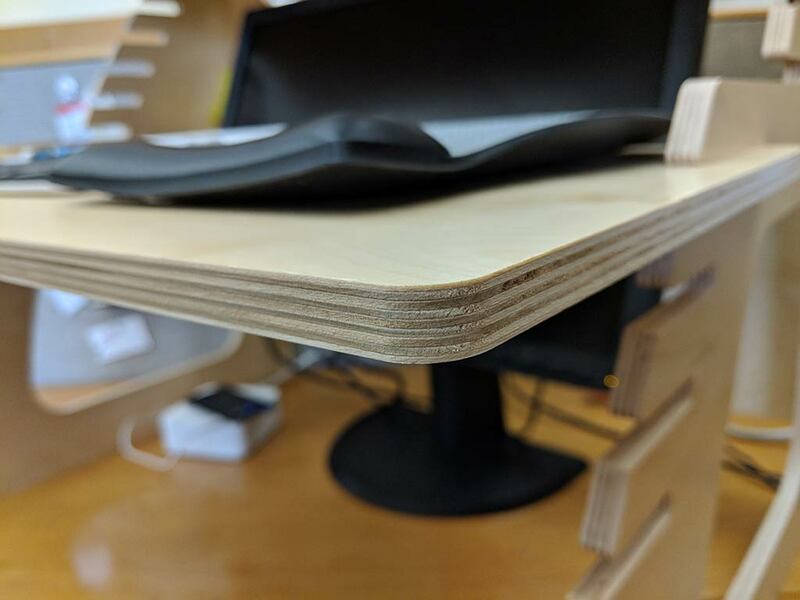 The entire desk is made out of Baltic Birch plywood and is really a high grade of plywood if you ask me. In fact, a colleague of mine asked where I got the plywood to make it because he wanted to make something with such nice plywood. 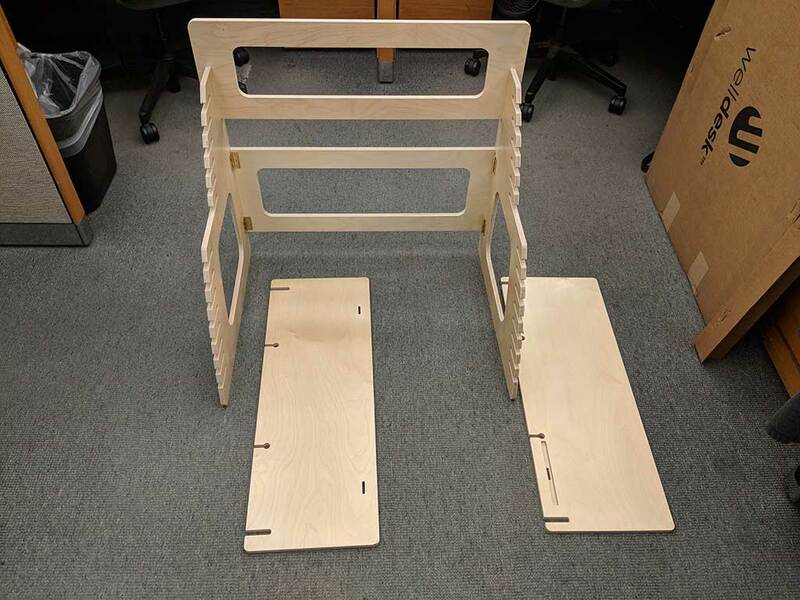 The first step in the easy assembly process is to add the rear monitor guard to the main legs of the desk. 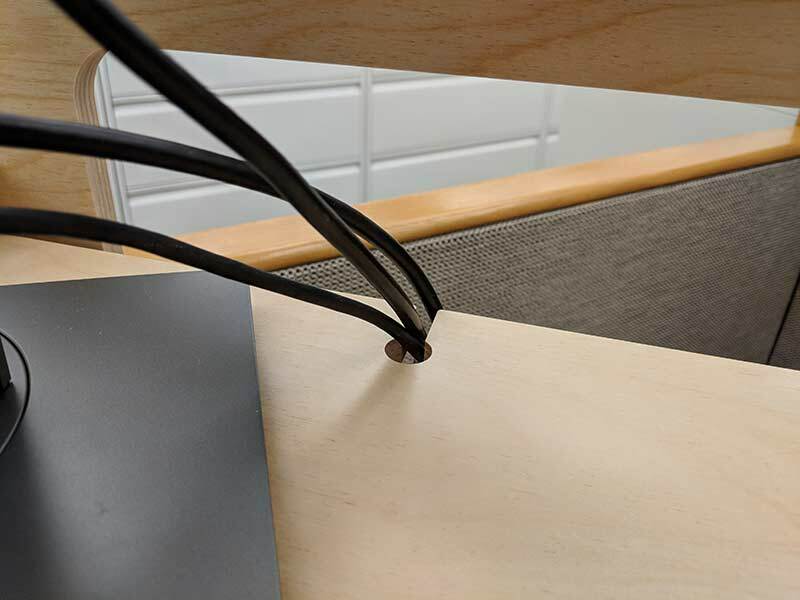 This will keep your monitors from falling off the back of the desk. Yeah, probably a pretty good thing! I would hate to lose a 24in monitor! Really, I would hate to have to explain to my boss why I need a new monitor! The next step is to add the monitor and keyboard shelves and you are good to go! Then the fun part starts when you put your desk back together again. I think that it took all of 2 minutes to put together the Well Desk and that is probably a pretty long estimate. This is one of the setups that I had using the desk. I tried several different setups to see what I might like better. 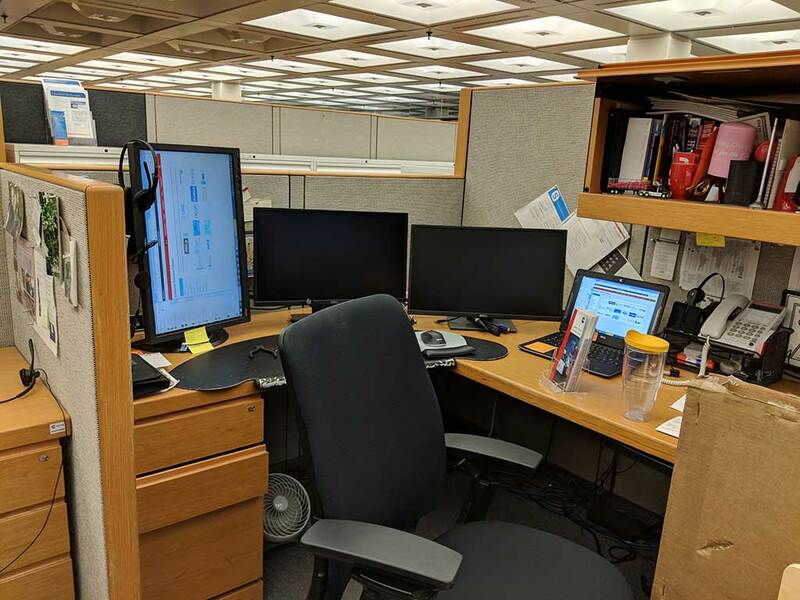 The two monitors on the top are 24-inch monitors and they fit well with only about an inch of each base sticking over the end of the monitor. Not enough to really worry about them falling off. I like to have my monitors pointed in for a more immersive environment. You can see that in this picture my mouse and keyboard fit nicely on the keyboard shelf with plenty of room to spare. You might have a bigger keyboard but I went with a Logitech K780 that Julie reviewed and I now enjoy. Thanks, Julie! In this picture, you can see the cord cutouts to run cables to cut down on the crazy wires going everywhere. This is a nice feature. I have been trying lately to get my wires tamed at my desk. This picture gives you a feel for the thickness and quality of the plywood. It is made up of 1/2 in. thick plywood. This makes the unit very sturdy. 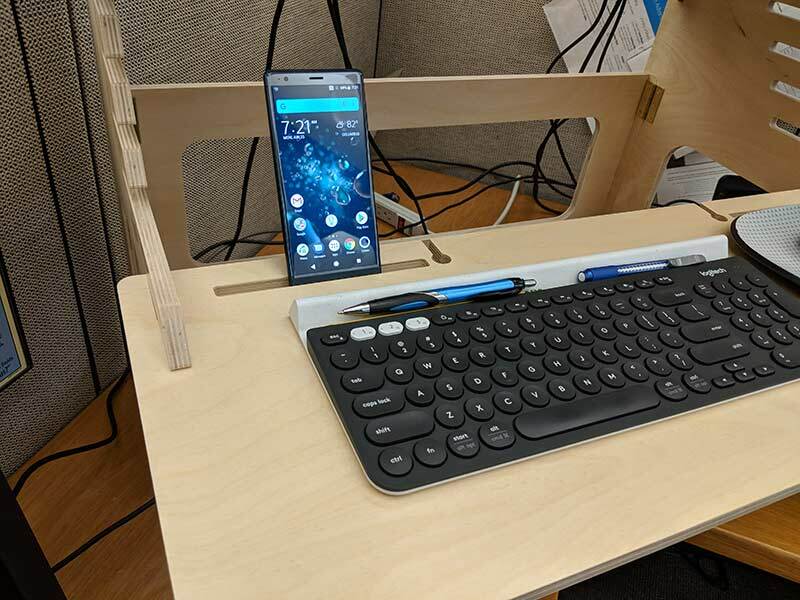 One of the neat features of the Double Monitor Well Desk is the mobile device slots on both the keyboard and the monitor shelves. The original model of the Well Desk does not come with these slots. I found it very useful for holding my phone throughout the day. They also have holes cut out so that you can charge you phone while it is in the slot. You can also see the keyboard and mouse cord cutouts in this shot but I use wireless so I had no need for them. This is my original setup before I started reviewing the Well Desk. I had the three external monitors that I was using and then the laptop display as well. A lot of the time I found myself getting very tired in the afternoon. This is me standing at the desk after it was all set up and after a little engineering of the Well Desk. Well not on the desk itself but the setup of the monitors that I was using. I did find that in the afternoons while I was standing I did not get as groggy and tired as I had when I was sitting all day. After some thought, I figured out that even though the Well Desk is not designed to be a convertible desk why not try anyway! So low and behold you can fit a 27 in. monitor very nicely under the monitor stand on the top. This was my way to help with the transition to standing a lot of the time. One can never have 2 many monitors or in my case 3 monitors! The shelves are easy to move and only take a few seconds to move. Because of the way the slots are cut they slide together easily without a lot of effort. I don’t think though that I would try moving the monitor shelf with two 24-inch monitors on the shelf. I have a feeling this might end badly! 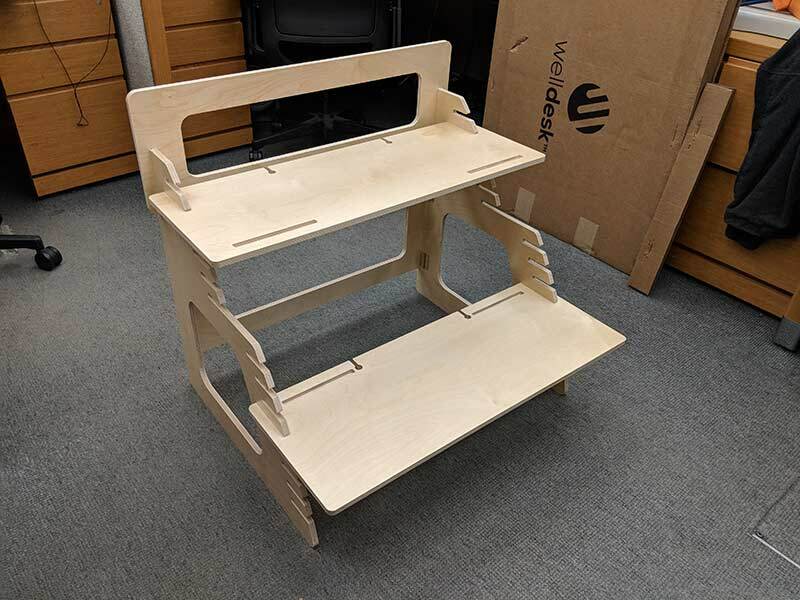 The Double Monitor Well Desk is easy to put together and because it is not convertible, it is cheaper than most convertible desks. It is made of a high-quality plywood and seems like it will hold up very well. The desk is supposed to provide health benefits like burning more calories and reducing back pain. I would assume that this probably depends on the person using the device. 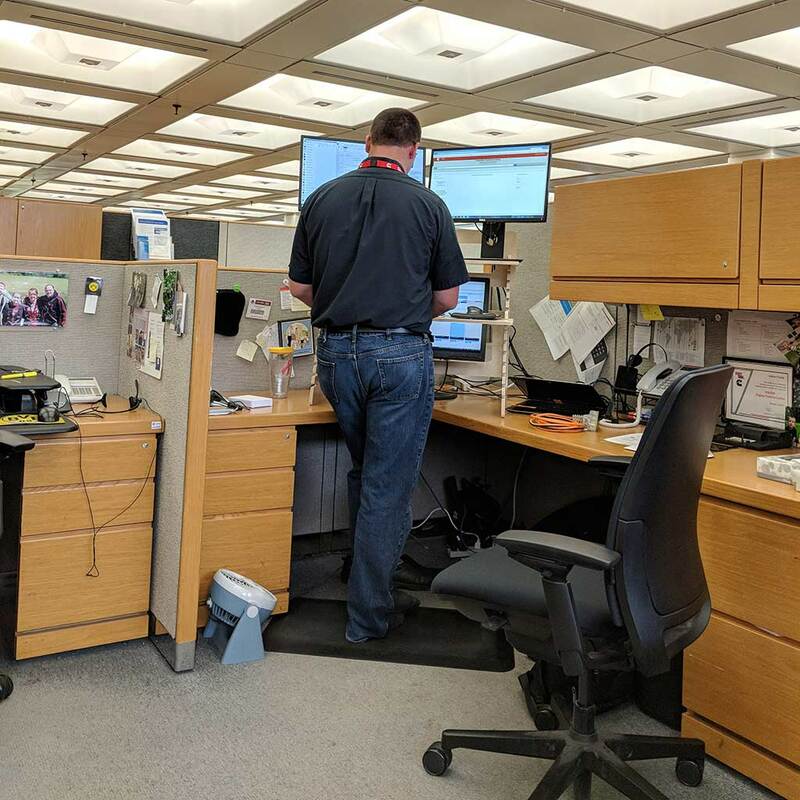 I know for me, I started standing the majority of the day and ran into my back hurting but when I switched from sitting to standing throughout the day no problems. I have enjoyed using the Well Desk and will continue to use it at my office to see how it can help me long term. 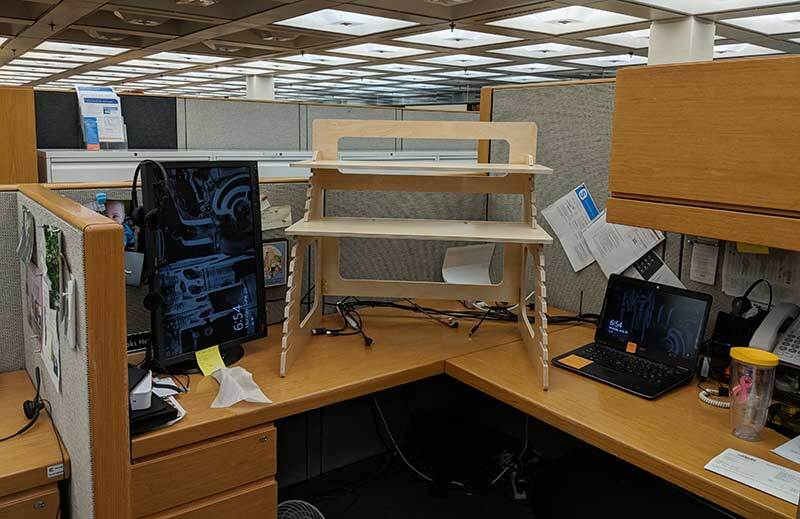 If you are looking to get a standing only desk then this would be a great and economical purchase. 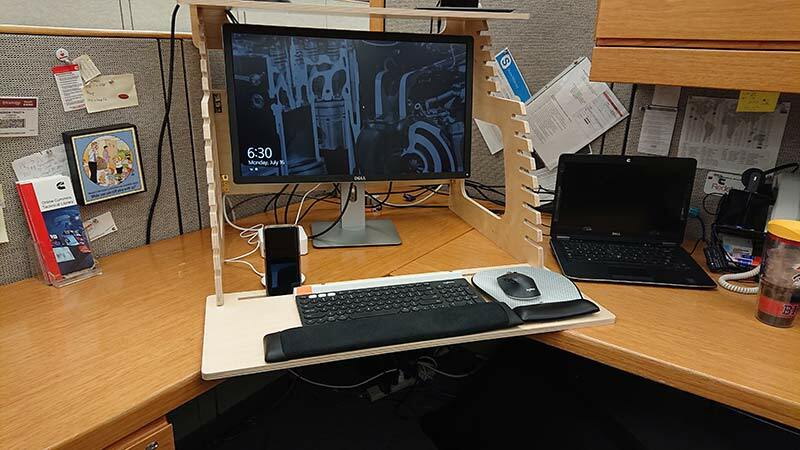 You might want to think about it more if you are needing a convertible desk. Source: The sample for this review was provided by Well Desk.